Are you passionate about the welfare of youth and dedicated to supporting their long term stability? The County of San Luis Obispo Department of Social Services is seeking a Child Welfare Intern! • Speak and write clearly and effectively . • Use automated office equipment. 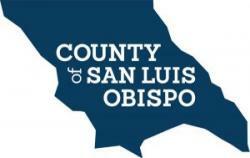 Thank you for your visit to our website and your interest in the County of San Luis Obispo. Located on the coast halfway between Los Angeles and San Francisco, approximately 260,000 people call San Luis Obispo County home. San Luis Obispo County’s natural beauty includes beaches, lakes, mountains, wetlands, elfin forests, and state/county parks. San Luis Obispo County is home to California Polytechnic State University, Cuesta Community College, Hearst Castle, two of the 21 historical California missions, and a commercial airport. A perfect Mediterranean marine climate keeps San Luis Obispo sunny and warm year-round. There is always something exciting going on in San Luis Obispo County, including plays, concerts, fairs, festivals, sporting events, holiday celebrations, special museum exhibitions and other events. Outdoor options abound. The strong local economy is dominated by tourism, agriculture and viticulture, fishing, and a growing sector of information and technology businesses. The world-renowned California wine country of the Paso Robles wine region in North County and San Luis Obispo wine region in South County provide a California wine country tour experience that rivals Napa and Sonoma counties. Your Success is Our Success... The County of San Luis Obispo is one of the largest employers in the area with more than 2,800 individuals working to serve the community with pride to enhance the economic, environmental and social quality of life. Employment with San Luis Obispo County offers a wealth of opportunities to serve your community while building a career. The County has a culture of innovation and has created a diverse workforce that practice collaborative approaches to providing essential services. Committed to continuous improvement, the County has a robust Learning and Development Center that assists employees in acquiring skills and mastering industry Best Practices to achieve World-Class Organization status. A Well-Governed Community is the vision of County leadership and we are committed to providing employees a competitive compensation program including a defined pension benefit plan, a defined contribution savings plan, flexible hours, commute assistance, health and wellness programs, and much more. We invite you to view our current career opportunities and learn how to apply for a career in public service at the County of San Luis Obispo. You'll soon find why residents of San Luis Obispo County enjoy an excellent quality of life in one of the most beautiful areas in the state. Our Human Resources team is dedicated to being a solutions-based resource for the County departments and their employees. We are committed to attracting and retaining a diverse, innovative, and a qualified workforce that provides quality service to our community. Our team of HR professionals partner with Departments to assist in accomplishing specific department workforce goals, provide HR expertise, and lead change. Additionally, we are committed to supporting County employees throughout their career.